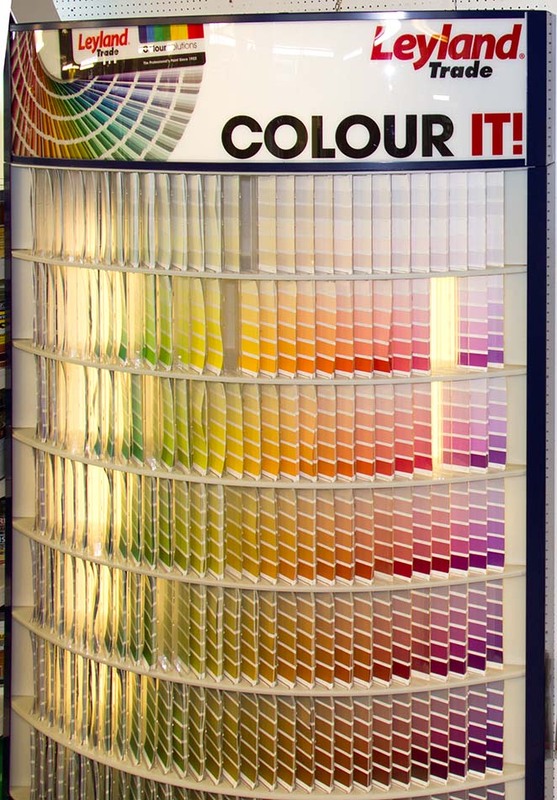 Choose your colour, the finish you want and we’ll mix the paint up for you while you wait. Couldn’t be easier. Have as much or as little as you want. We’ll see you right. Our paint can sizes range from a 250ml tester pot up to a 5 Litre can. 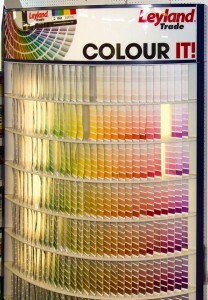 Leyland has made a name for itself as a paint brand that is determined to put the fun into painting! Designed to provide high quality professional products at unrivalled value for money, Theres a little something for everybody in the Leyland range. Emulsions, glosses, undercoats, eggshells, primers and acrylics are just a handful of the products available to make life that little bit easier for professional decorators and builders. What are you waiting for? GET ON WITH IT! Johnstone’s Acrylic Satin is a premium quality satin sheen finish that is suitable for interior and exterior use on wood and suitably primed metal surfaces. It provides a low odour, high opacity finish that is quick drying and non-yellowing. NEW FORMULATION Johnstone’s Aqua Water Based Gloss is an innovative, water based, high sheen gloss for use on interior and exterior substrates. It looks, feels and applies like a traditional solvent based gloss, but has the advantage of being quick drying, reducing application time. New Johnstone’s Aqua Water Based Gloss is also low odour as it contains less atmospheric polluting VOC’s, so is friendlier for the environment. To get the best finish, Johnstone’s Aqua Water Based Gloss should be used in conjunction with Johnstone’s Aqua Water Based Undercoat. NEW FORMULATION Johnstone’s Aqua Water Based Undercoat is an innovative, water based undercoat ideal for interior and exterior wood and metals. It looks, feels and applies like a traditional undercoat, but is quick drying to reduce application times. New Johnstone’s Aqua Water Based Undercoat is also low odour as it contains less atmospheric polluting VOC’s, so is friendlier for the environment. To get the best finish, Johnstone’s Aqua Water Based Undercoat should be used in conjunction with Johnstone’s Aqua Water Based Gloss. Johnstone’s Joncryl Water Based Primer Undercoat is a high quality, acrylic resin based combined primer and undercoat formulated for interior and exterior use on new or bare wood, plaster, hardboard, cement and brickwork. It provides a low odour, quick drying, high opacity alternative to solvent-based primer and undercoat.